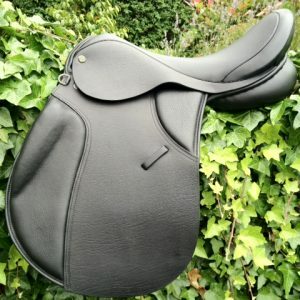 Description: The Yin-Yang “Delamere Forest” VSD Trail saddle in Buffalo Leather £899 and LS Option for Large Shouldered Horses £949 A beautiful comfortable saddle designed for todays Trail/Endurance rider…..”Endurance Riding, one of the newest and perhaps the fastest growing disciplines in equestrianism today. Although organised endurance rides were held in the US as early as the mid- 1800s, the modern sport of endurance riding really began in the in 1955 when the Tevis Cup, a one day 100 mile ride from Squaw Valley, Nevada to Auburn California, was first run. Endurance Riding is a sport for everyone, with rides to suit every ability and age, from 10 mile pleasure ride right up to endurance rides of 100 miles in a day, and longer over several days. Although endurance rides are often hotly contested, at every level of endurance the welfare of the horse is paramount, with the strictest veterinary checks of all horse sports, and awards for best condition often being regarded as important as winning itself. For many people the unofficial motto of the sport is ‘To finish is to win’ . This sums up the satisfaction you can feel when bringing their horse home sound and healthy. The Endurance Horse – Most people starting out in endurance do so on their current horse and saddle, and it is true to say that any healthy horse can compete at the lower levels of endurance and a decent saddle can suffice. Arabs are often thought of as the ideal endurance horse, but at any endurance ride you will see representatives of many horse and pony breeds competing successfully. A good comfortable Endurance saddle will enhance the enjoyment for you and will benefit the horses health, comfort and ability greatly. In general a good endurance horse will have a balanced conformation, a relatively light build, a strong back and excellent feet. Most importantly the horse’s temperament must suit the rider and the saddle should be comfortable for both of you – 100 miles is a long way if you can’t work as a team”!”The Delamere Forest” has been designed by us with all the factors above taken into serious cosideration. Your comfort, and most importantly the horses comfort and well being, are of paramount importance. 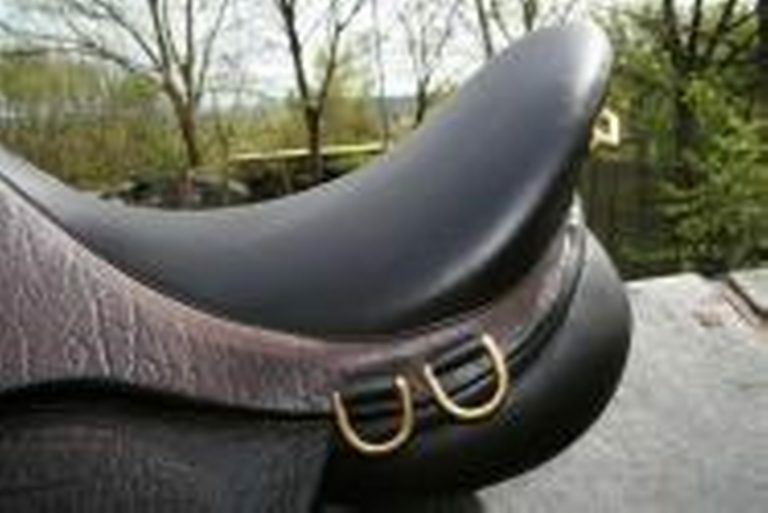 This saddle is made from super soft Buffalo print leather (smooth grained leather is an option on request). This very hard wearing, yet soft and supple, leather is perfect for this demanding discipline. 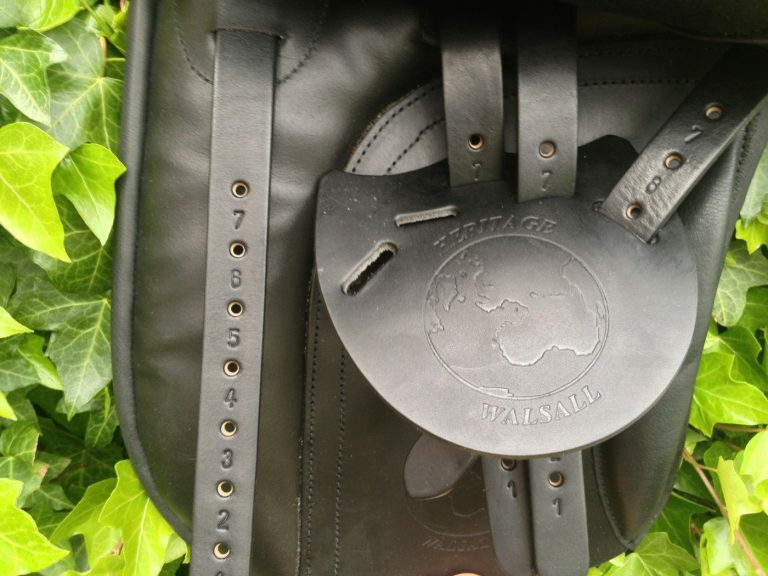 Buffalo leather has a “worn in” feel from new but is very hard wearing and will last a lifetime when looked after. The English made, Beech Wood tree used is wide and roomy and offers superior comfort. As your horse changes shape the tree can be altered when needed. Due to the use of the latest high tech materials we use in all our saddles seats, this saddle is very comfortable even for the longest rides. 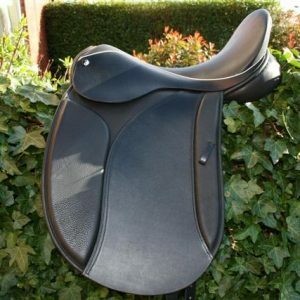 The saddles panels are wide and deep to ensure a large weight bearing area to ensure great comfort for the horse. This creates even pressure and eliminates the pressure points, and other issues, that cause so many back problems in our horses. This saddle is made with a wide gullet/channel to enable horses to swing through their backs, this improves engagement and stops the panel interfering with spinal processes or musculature of the horse’s back. Deep knee pads, on top of flap, sit over large knee blocks/rolls. We have listened to our customers here, they wanted the depth in front of their knees to hold them back and into the seat as they go down hill on their rides over hilly terrain. The knee pads and rolls will keep you safe and secure and there is also an option of a good sized thigh roll for added security on request. 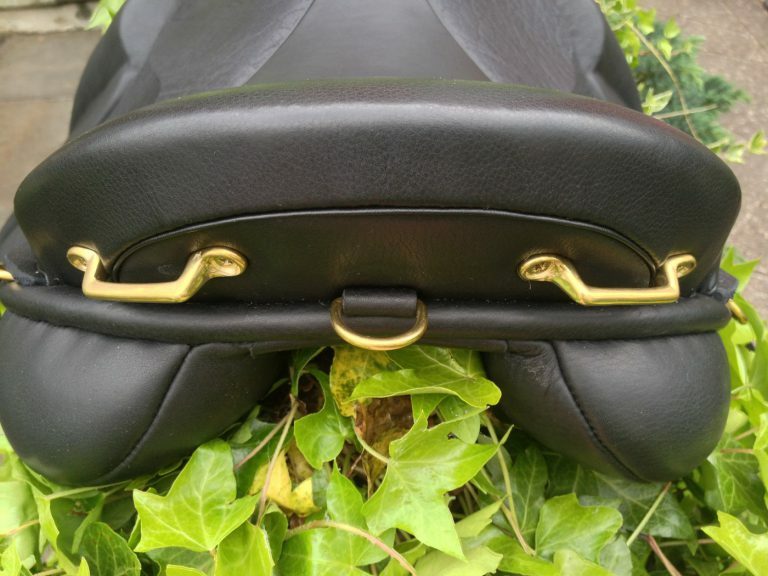 English forged Solid Brass Fittings – You have two D’s Either side for saddle bags or pouches and at the rear there are extra fittings to attach the usual items you will need to take along plus also a crupper D in case you use a crupper. 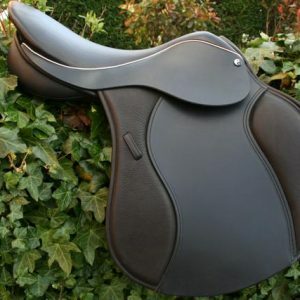 This stunning Custom Made Saddle will fulfill all your needs for this exciting and demanding sport. The Large Shouldered version or LS… As you can see in the 5th photograph we cut the panel straighter away from and to accommodate the larger shouldered horse. Then it has the knee roll on top (see last photo) of the flap away from the horses shoulder too. This combination is perfect for the rider who wants the forward flap but whose horse has large shoulders. This saddles panels and knee roll will, therefore, not hinder the horses movements, and will not be constantly pushed back by them either. This then enables us to cut the top flap more forward for those of you with longer legs, and those who like to ride short, giving you more room. as the top flap “floats” above the shoulder. Compared to traditional saddles, this massively lessens shoulder restriction and the horse will move better than it ever has! The LS range is a truly new, innovative style of saddle that will free up your horses shoulders like never before. 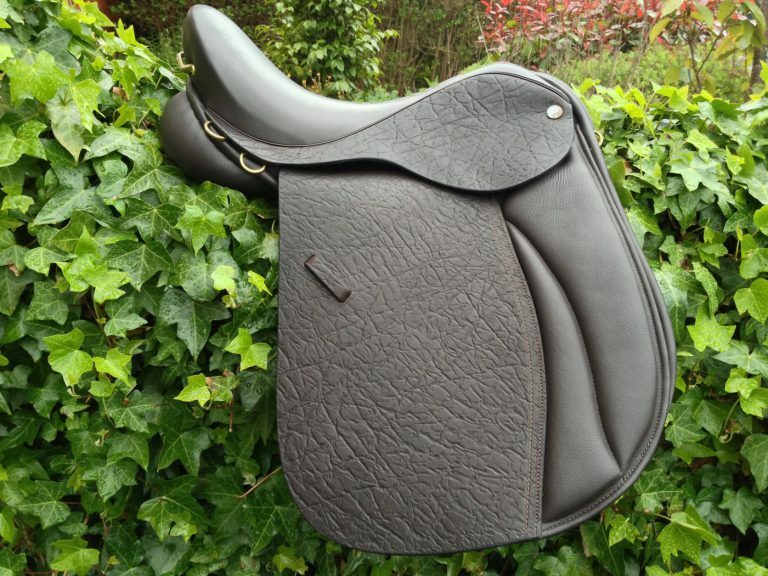 Jump, GP, VSD and Dressage saddles are included in our LS range. 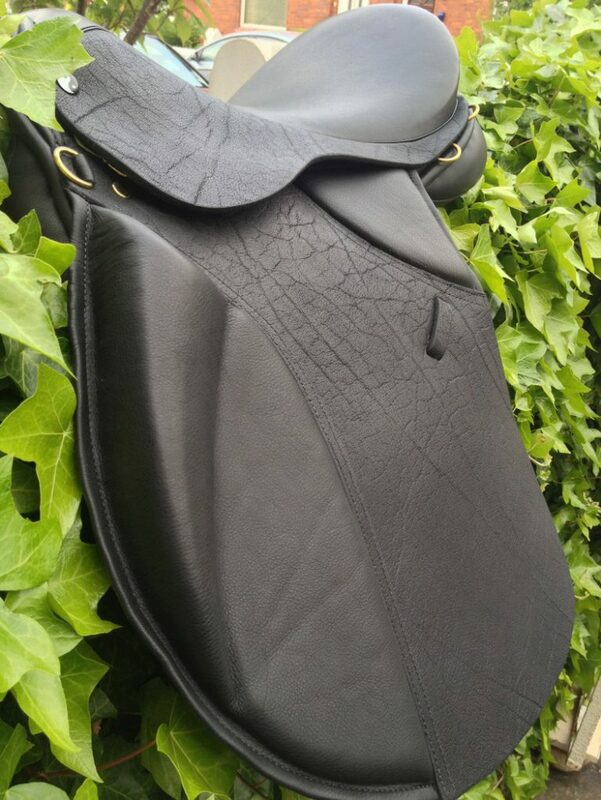 Short x2, x3 or x4 or 2x long girth straps/billets can be chosen. we can supply the matching short girth if you choose long straps. This option removes the bulk of a girth and it’s buckles from under the flap, getting you closer to your horse. The twist and seat of both the above models are so well designed, that you do not have that unsecured feeling of “sitting on a fencepost” that so many saddles will give. 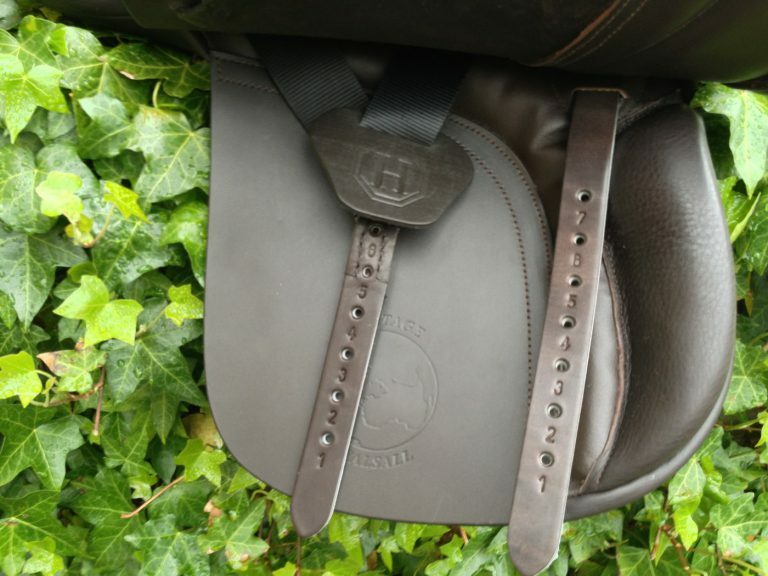 The level of contact with your horse and it’s subtle movements are enhanced with our saddles. Creating a feeling of oneness with ones horse. 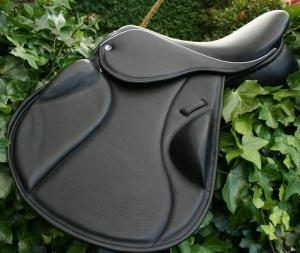 You can rest assured that, when choosing one of our Custom saddles, we will choose the correct tree to suit the horse and rider. This may include a higher arch, deeper seat, narrower twist etc. Round cantle by default but choose square if preffered. The piping around the seat can be White, Black or Brown and you can have any colour piping/saddle combination. The Heritage Yin-Yang – “Inner Balance” Dressage Saddle. Fully custom made to measure or off the peg.